I’ve been trying to get Mr. B to come see War Horse ironically with me, but he just will not budge, because according to him, this movie looks like it would be “the stupidest movie I’ve ever seen.” This is coming from a man who made me watch Underworld with him. I know this movie is going to be terrible because just looking at the poster hurts me physically, but Downton Abbey is over and Sherlock is dead-ish (MORIARTY WAS REAL) and oh my God I have no will to live until the spring unless there is something British-y and class-y that I can watch as I wait for outdoor running weather and my semester to end so we can take vacation. Conveniently, Sherlock is in War Horse and War Horse is set in World War I, just like omgDowntonAbbey. Also it’s about horses. I love horses. Also it has Steven Spielberg, thus fulfilling my quota for Jewish content. It has everything. 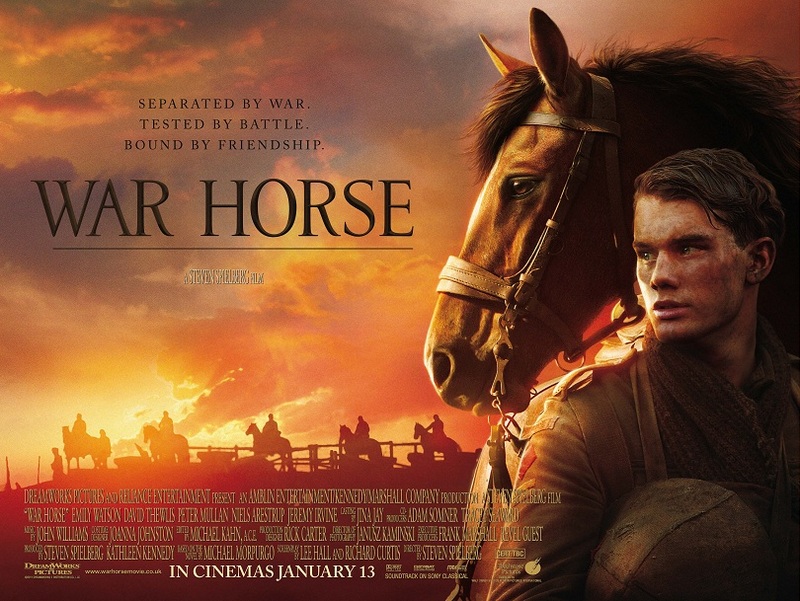 And yet, War Horse has nothing. Because it truly looks terrible. It looks like someone took The English Patient, mashed it together with All Quiet on the Western Front, doused it with the gasoline of sentimentality and lit it on fire. But, by God, I will see this movie. Because it’s the dead of winter. Because British World War I. And because Joey would have wanted it that way.